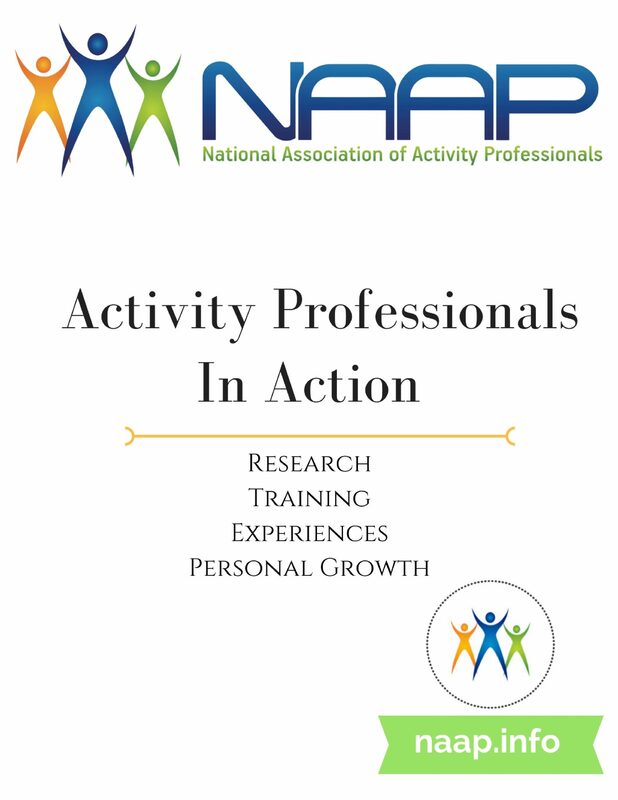 This book has been prepared by NAAP to assist individuals preparing for the national certification/credentialing exams so that they may advance their career. This book has been prepared by NAAP to assist individuals preparing for the national certification/credentialing exams so that they may advance their career. This book is also beneficial to those with years of experience and certification. It is a great review guide for you and your staff. Give everyone a “pop quiz” to see that everyone is still on top of their game with rules, regulations, etc. The questions in this book will help you focus on the key areas of knowledge you are required to know as an Activity Professional. The education committee that prepared this wealth of information has made it comprehensive and easy to use. We hope that you will find it useful and informative in your career.